CARPET STAINS. HOW TO CLEAN CARPETS. CARPET STAIN REMOVAL. 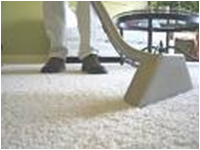 Carpet Stains -- Don't let them ruin your day or your investment! Carpet, rugs, draperies and upholstery are expensive items to replace. 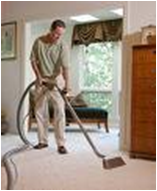 Carpet will eventually wear out and will need to be replaced due to ordinary wear and tear. However, the information below will help you protect your investment for as long as possible. A number of problems can develop due to improper or poorly performed cleaning. Take the time to find the right cleaner. Choosing the right cleaner won't guarantee your investment will last forever, but it will greatly reduce the chances of problems developing. If you wish to hire a professional firm to clean your carpets, drapes, rugs and upholstered items, select the company wisely. A good cleaning firm will provide you with the best results. Do it now! The faster you clean any spot/stain, the better chance you have of removing it. Pre-test Not every stain can be removed. If using a cleaning product, always pre-test the surface to be cleaned by applying it in an inconspicuous area. If the material's color transfers to the white towel, use another product. Solids Scrape off any solids. Blot, don't rub Blot don't rub a wet spot as rubbing causes it to spread. Dry spot Loosen the soil and vacuum prior to moistening it. Water-soluble stains Apply a detergent solution of 1-1/2 tsp of mild detergent per pint of water. Work from edges to center of stain. Put several layers of paper towels on spot and weight it down with heavy objects (books, bricks, etc.). Let stand about one hour. Replace paper towels and leave overnight. Fluff pile with your fingers next day. Dilute Dilute any cleaning solution according to manufacturer's directions. Too potent a mix may cause damage. Too weak a mix will not be as affective. Rise thoroughly Rinse cleaned area thoroughly. Cleaning products not removed may cause the area to attract soil. White Cloth Use a white cloth when removing stains, it allows you to see whether the area is clean. Home Cleaning Solution A useful home cleaning solution is to keep a mild mineral spirit solution on hand. It is useful for many cleaning applications. Carpet shampoo Keep a good carpet shampoo on hand. They are readily available in the cleaning supply section of most grocery, hardware and discount stores. Wax on carpet or upholstery Place a clean, absorbent cloth over the wax. Place a hot iron on the spot. Lift cloth and the wax should be removed with it. Greasy Stains Apply nonflammable dry-cleaning agent with a white towel. Work from edges toward the center. Don't scrub. Gently dab until spot comes clean. For less stubborn greasy stain, coat spot with aerosol shaving cream or carbonated water. Speed dry using a hair dryer, then vacuum. You can also sprinkle a greasy stain with one of the following items: cornstarch, talcum powder or baking soda. Leave it on the greasy spot at least 6 hours, then vacuum. DO NOT! Do not use gasoline, lighter fluid or other flammables. Apply a small amount of dry cleaning solvent or alcohol. Use small amounts to prevent possible damage to sizing, backings or stuffing materials. Apply a mixture of one-half tsp of a mild dish soap or washing dish washing detergent containing no strong alkalis or bleaches, with a cup of lukewarm water. Blot any remaining moisture or cleaning solutions by pressing or padding the area with absorbent towels. Weight it down and allow at least six hours to dry. Do You Know of Any Carpet Stain Removal Tips? Do you know of any carpet stain removal tips? Share it!